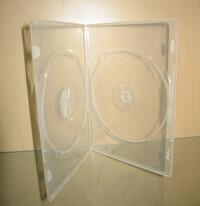 Clear double 7mm DVD box with overlay. 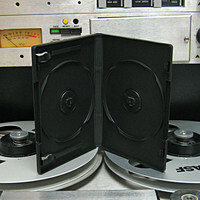 Good quality professional 6-DVD case. Back in stock! We've specially imported these fantastic DVD cases. Super quality black DVD case with mirror-polished inside. Another premium-quality product only from duplication.ca . Pro Black double 7mm DVD box with overlay. 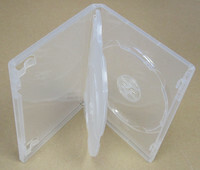 Standard better quality DVD box, expandable to hold 2 or 3 DVDs with snap-in tray. Super clear DVD box without overlay. Another premium-quality product.